It's so easy! You literally just turn on the icons and buttons that you want your viewers to see. Look At All The Amazing Things You Can Do With The App! Instantly Send Out Your Card! 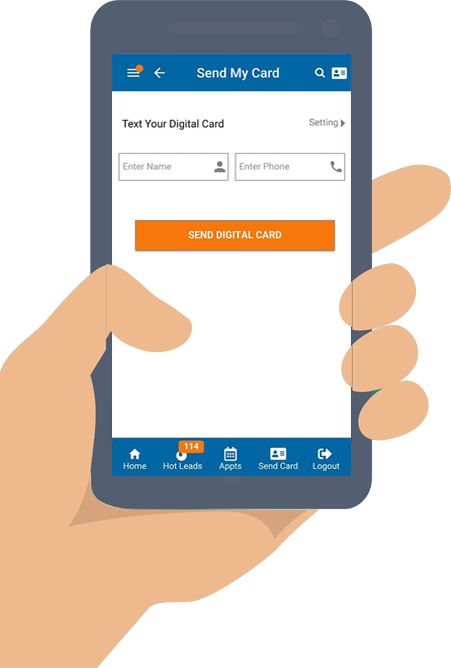 Now you can instantly send a message that contains your myContact Card from the app itself. You are able to tag your leads so that you know the event or location where you lead came from. Ready to go personalized messages that contain your myContact Card link. From inside this app your able to call and text your leads with a simple swipe. [email protected] 2019 Facebook Disclaimer .